Foreign Exchange Control in China lays out comprehensively the compliance requirements, procedures and documentation for the conduct of foreign exchange transactions in China. 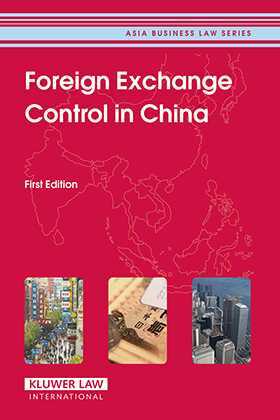 Written in an easy-to-read format, the book is designed to help readers understand and handle the various complicated aspects and requirements of foreign exchange control in China. Compliance requirements for the current and capital accounts, foreign exchange settlements, use and administration of foreign exchange accounts, foreign debts and guarantees, import, export, service trade, bonded zones and qualified foreign institutional investors are closely examined with a list of the procedures to follow and applicable documentation provided. Contents are specially included to assist foreign investors deal with foreign exchange requirements whilst operating in China, including those for capital movements and remittance of profits and dividends out of China. Foreign Exchange Control in China is an indispensable guide to foreign investors and multinational companies as well as to lawyers, financial, accounting and tax professionals. This title forms part of the Asia Business Law Series. The Asia Business Law Series is published in cooperation with CCH Asia and provides updated and reliable practical guidelines, legislation and case law, in order to help practitioners, policy makers and scholars understand how business is conducted in the rapidly growing Asian market. Table of contents: Part I An Introduction to Foreign Exchange Control. Part II Foreign Exchange Control and Regulations of China. Part III Practical Guidelines for Foreign Exchange Transactions in China. Part IV Miscellaneous. Part V FAQs. Part VI Legislation. Appendix. Index.